The lighthearted Leaves were calling my name again today and I wouldn't dare so no to them! The are too stunning to refuse! 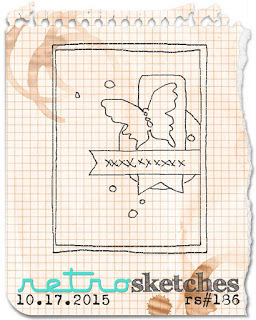 Here is the gorgeous sketch over at Retro Sketches this week. I really enjoyed this sketch and the card came together quite quickly because the creative juices were flowing. Because I wanted to use the lighthearted leaves and it was going to take a a bit of space - I decided that embossing on vellum was the way to go - so that you could still see that gorgeous crushed curry Designer Series Paper coming through the leaves. I love the layers and the embossed smoky slate in the Large Polka Dots. 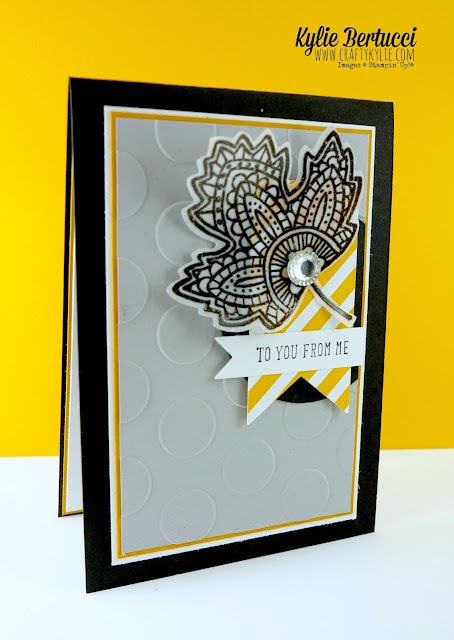 Isn't the large iced rhinestones perfect with this stamp set? It also allowed me to hide my glue dot behind it so I could stick the leave down - one of the challenges when using vellum is how do you glue it down without seeing the glue? This is a great way of doing that. Hide it behind an embellishment. 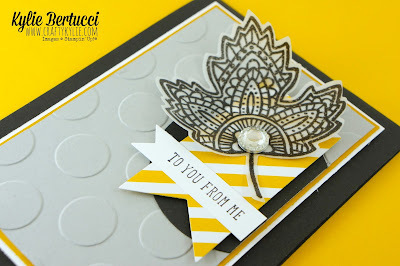 The Sentiment was taken from the and many more stamp set - a fantastic go to set especially with the Bitty framelit dies. I love love love this colour combo and have used it a number of times. It is such a stunning combination together. Very elegant and yet still fun. 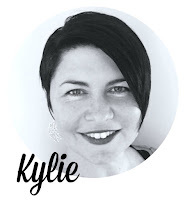 Keep up to date with my posts! Click here. Is it time? I think it is! There are so many EXCITING, AMAZING things happening in my Crazy Crafters Team - if you were thinking about making the jump and turning something you love into something that can get you free craft, trips, or even income.... then NOW is the time to join my team. Have you heard of the famous Brian King? Maybe Pootles? What about Patty Bennett? or even Tami White? How about Connie Stewart? What do they have to do with the Crazy Crafters you may be asking? You will find out soon enough! But all I will say - is you NEED to join my team as now is the time. Click here!